In the eighties a number of damage cases occurred in power plants because of the spontaneous failure of tube bends causing considerable personal injury and damage to property. The majority of the damaged pipe bends was operated in the creep range. It must be assumed that the creep damage at the time of the failure was much more progressed than the creep calculations had predicted. Since 1986 a large research project had been under way at the MPA Stuttgart. This project was to provide an insight into the behaviour of tube bends operated in the creep range under stress caused by internal pressure and bending moment. The project was co-financed by the VGB RESEARCH FOUNDATION under the project no. 83, and was completed in 1994 (Publication: Research for Power Plant Technology 1993 and Research for Power Plant Technology 1995, VGB Kraftwerkstechnik (English edition), August 1996, p. 591 to 596). The current codes and guidelines for computing the strength properties of tube bends are not able to reflect the component behaviour at high temperatures (creep range) since they are all based on linear-elastic material behaviour. With increasing temperature the influence of creep and relaxation is much more important to the component than the elastic behaviour. The influence of geometric imperfections (ovality of the cross-section, different wall thickness) and its counteraction with stresses like internal pressure and system loads (bending and torsion moment) are not covered completely by any of the guidelines, i.e. consideration of strain and stress in the course of time and the calculations of the degree of fatigue based on these considerations. It cannot be expected that the European guidelines that are being elaborated will make progress into this direction. The finite-element method (FEM) is currently the only possible approach to calculate realistically the mechanical strength of components. Therefore, the project is aiming at a calculation algorithm suitable for practical application which is to be tied down in an association agreement. Due to the complexity it seems to be sensible to convert the calculation algorithm into a software programme as part of the agreement between manufacturer and operator associations. The same kind of creep law is to be used for any material in order to minimize the scattering within FEM calculations, i.e. to avoid differences caused by the application of different material laws. may not overlap for different stress levels. A joint working programme was developed for the better utilization of the former investigation results. 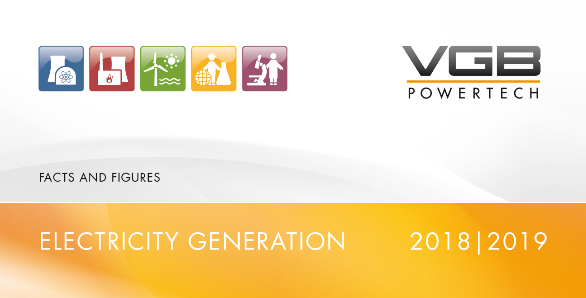 The VGB Technical Committee "Materials and Quality Supervision" is supporting this programme. The project will be executed over a period of 18 months by two manufacturers and MPA of Stuttgart University (Prof. Roos). VGB Special Conference "Materials and Quality Supervision 2004", Dortmund, Paper 11. VGB PowerTech 07/2004, p. 60 - 65.